A few months back, I had the opportunity to share about a few experiments that are underway to bring generosity and love into public service. 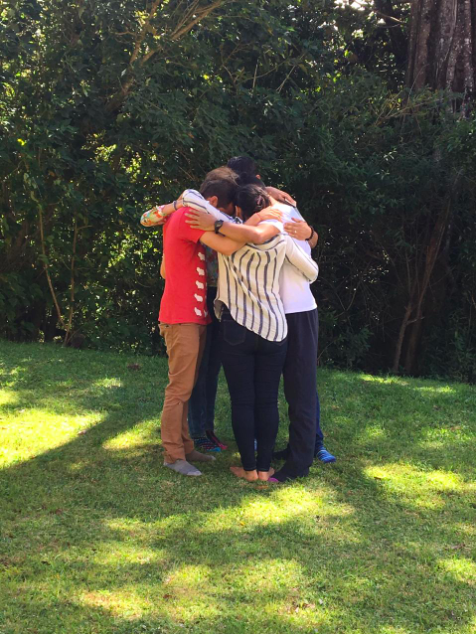 As an update, last month, we gifted a few visionary leaders and practitioners in the field of education a weekend retreat to combine meditation, empathic communication, design thinking, systems thinking and Theory U to think creatively about the role of empathy and compassion in transforming the public education system. 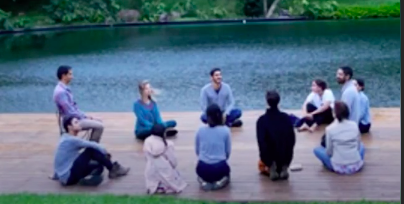 There were many synchronicities in the process - a boutique hotel in the cloud forest even gifted us the space for the retreat! Meditation and QiGong to invite presence that enables connection and intuition. It's humbling to realize that none of these results would have been possible if we had relied upon conventional planning based on our own ideas, but it all organically emerged when a group of us held our deepest intention to genuinely serve at the center of our process. 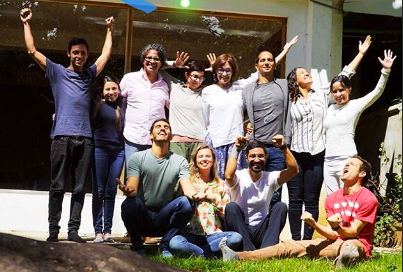 Thank you for inspiring us in Costa Rica with your example of what it means to be 100% committed to love as an organizing principle! Amazing hermano ! Very inspirational !! Its is so awesome to see such conversations and spaces happening in your contexts :))) . I am excited with future unfoldings on this ! So many people are already benefiting from your agendaless effortless efforts! Love It ! Te queremos !! Constantly in awe of the beautiful ripples you are nurturing in Costa Rica in settings that others might not even imagine planting these types of seeds in. Grateful for your share. Wow, wow, wow! How beautiful to see these seeds grow from your deep commitment to love as an organizing principle. What an amazing experience. I don't know where to start. My mind is spinning with questions. Please keep posting updates on what comes from this, what is looks like, etc. Thanks for sharing. Very exciting. wow! this is so amazing! what a beautiful emergence when you hold the intention to serve :-) thank you so much for sharing! Thanks for your words of encouragement! I'm grateful to be a ripple of your love and example :) big hug from the tropics! David, so inspiring news!! !, all of you bring real hope for this planet, keep going and never give up:)!! !